Text integrated with audio clips, images, and more. 700 contributors are represented. Features audio of the history of African-American music. Audio files of music from around the world! To find a single Audio file in Search It, do a normal search at libraries.wsu.edu. Make sure you log in! When you get to your results screen, on the left side, look for "Type" and then click on "More Options" if you do not see eAudio or eVideo. Then, in the screen that pops up, select eAudio & eVideo. Then, look for the Audio symbol. Click on Access Options to find the link to the file. To find historical photographs, check out the links on this LibGuide page! 60,000 images from the National Library of Medicine! Fair use images in the life sciences. Use Google's Advanced Image Search to find images of all kinds. Use the the "Image Rights" dropdown menu to find images that are free to use, share, and modify under copyright and fair use. The "Free to use, share or modify, even commercially," has the most open use. The following databases provide an extensive array of art images throughout history and from around the world, including background and biographical information! 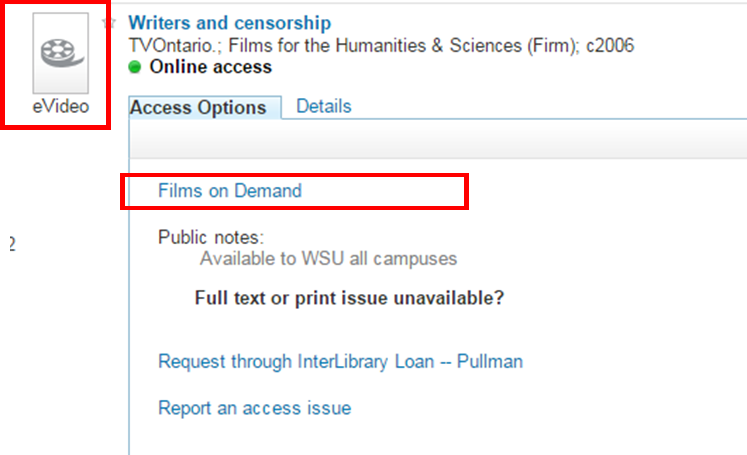 Washington State University subscribes to several databases that contain films that you can watch online. There are two ways to find these films. First is to go directly to one of these databases and do a search within the database. Filmakers Library Online provides documentaries for streaming video use across the university's curriculum. 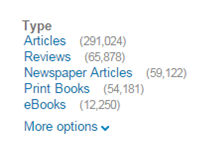 There are 1,018 titles covering all academic areas. The particular strengths are in history, health, and social science topics. Thousands of movies and documentaries. 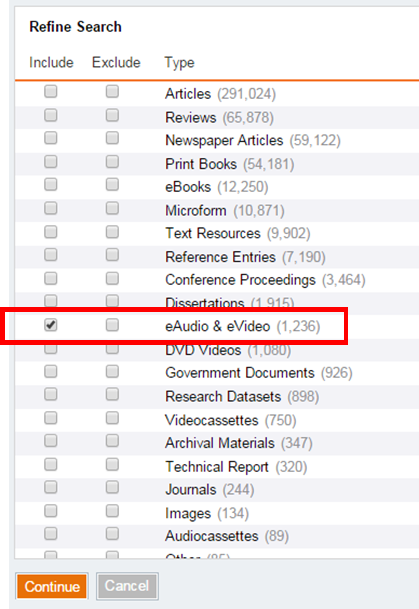 To find an eVideo in Search It, do a normal search at libraries.wsu.edu. Make sure you log in! When you get to your results screen, on the left side, look for "Type" and then click on "More Options" if you do not see eAudio or eVideo. Then, in the screen that pops up, select eAudio & eVideo. Then, in your list of results, look for the eVideo symbol. Make sure that it also has a green circle and the words "Online Access." This ensures we have it in our catalog. Then, click on Access Options and the first database link. This will bring you to your film.